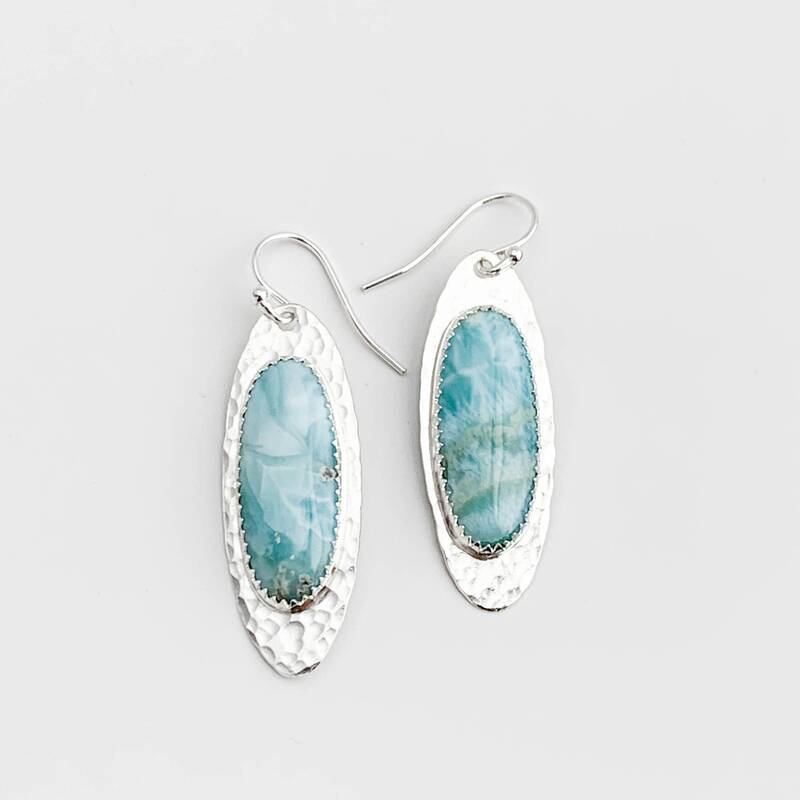 * Total length is 1.8", they dangle 1.5" long from the bottom of the ear wire. 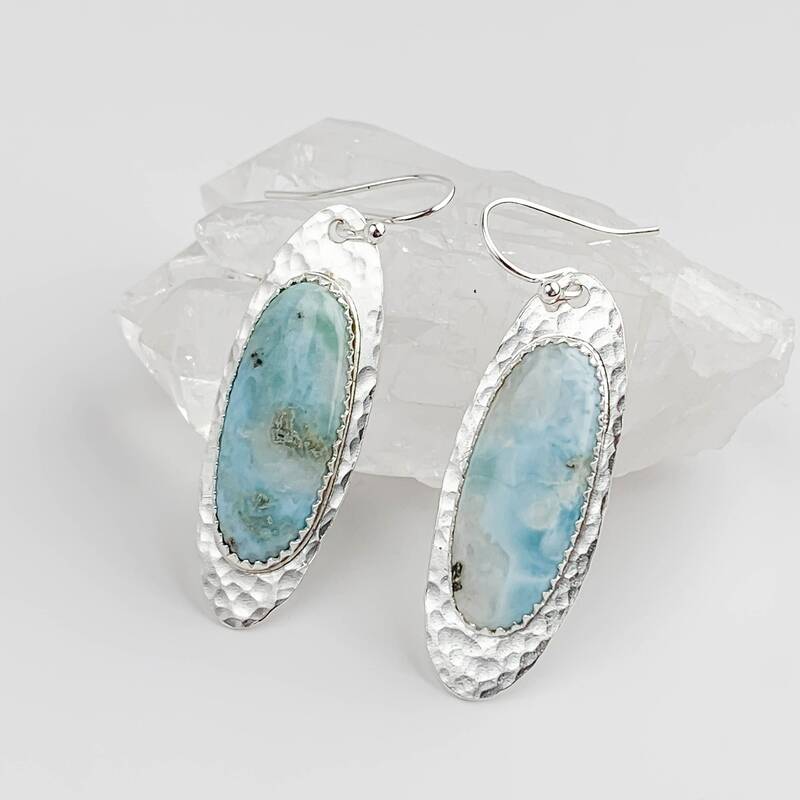 * Total width is .6"
* Handmade with natural Larimar gemstones and Argentium Sterling Silver - see below for more about this unique metal! 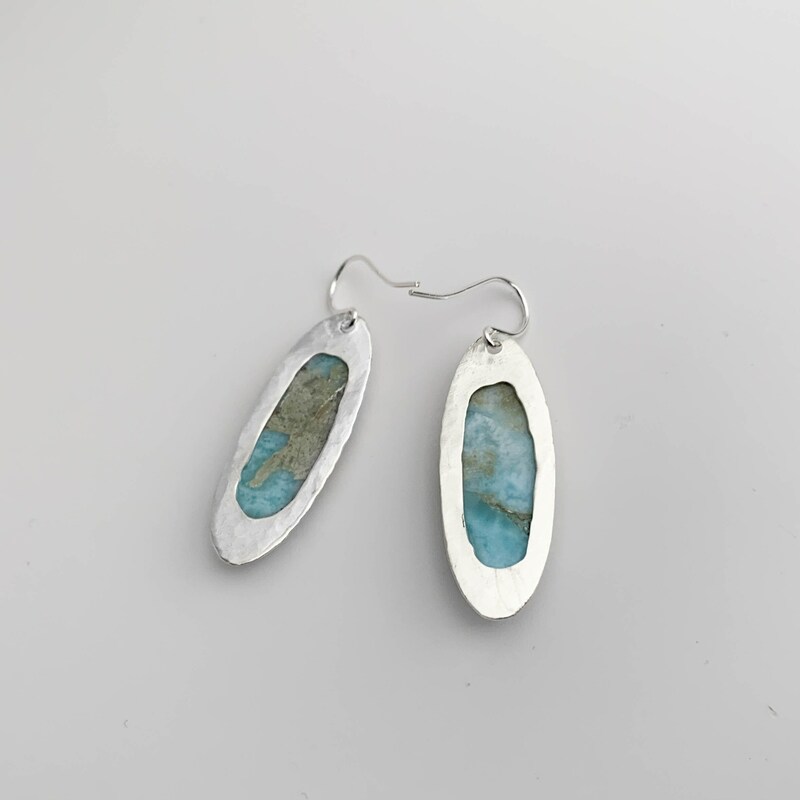 I made these beautiful drop earrings by sawing long skinny ovals out of argentium sterling silver and hammering them with a rounded hammer to give them a dimpled texture. 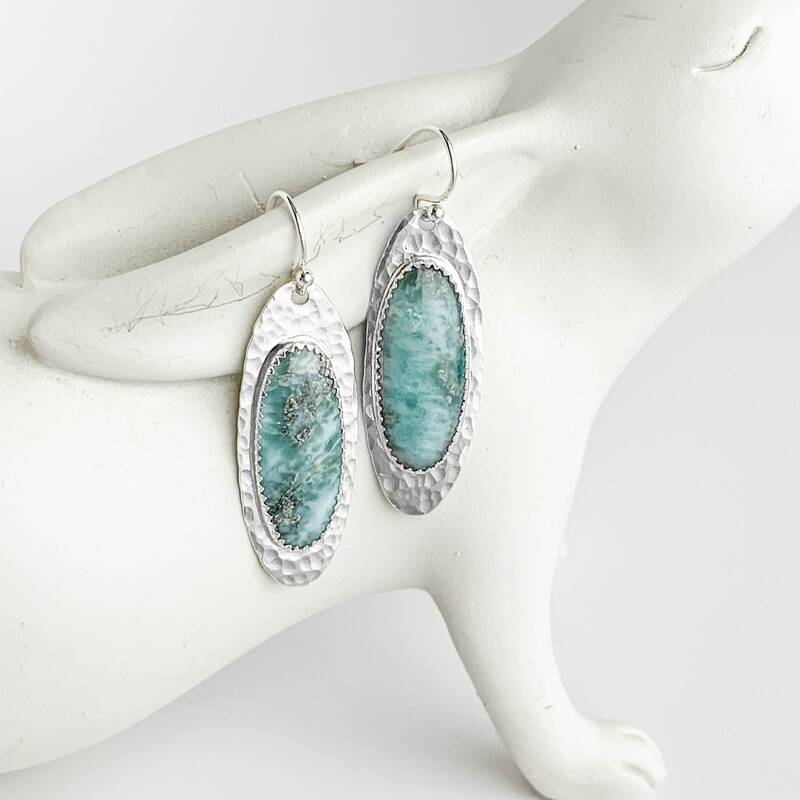 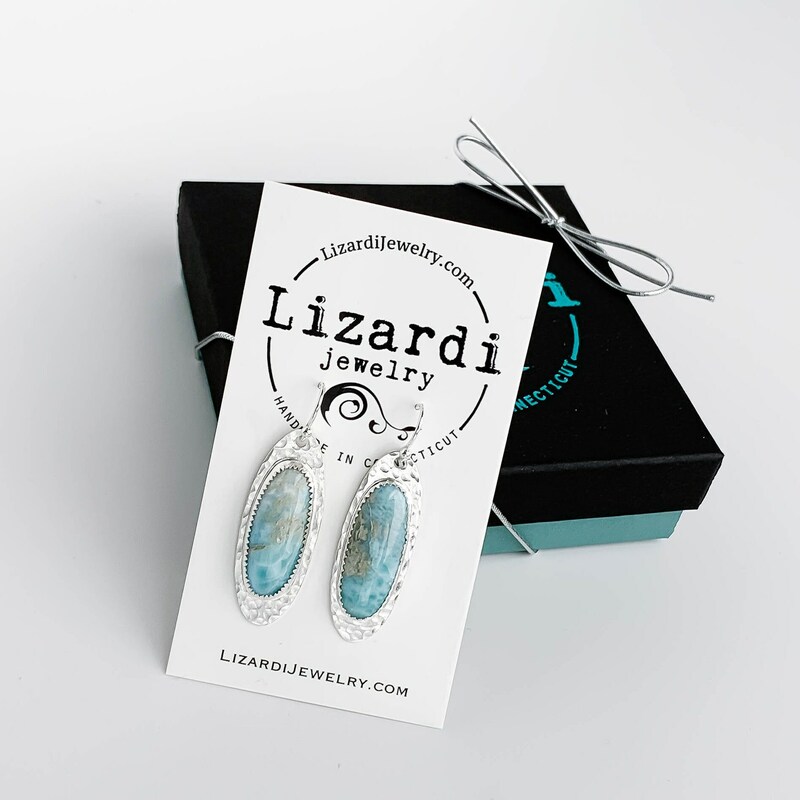 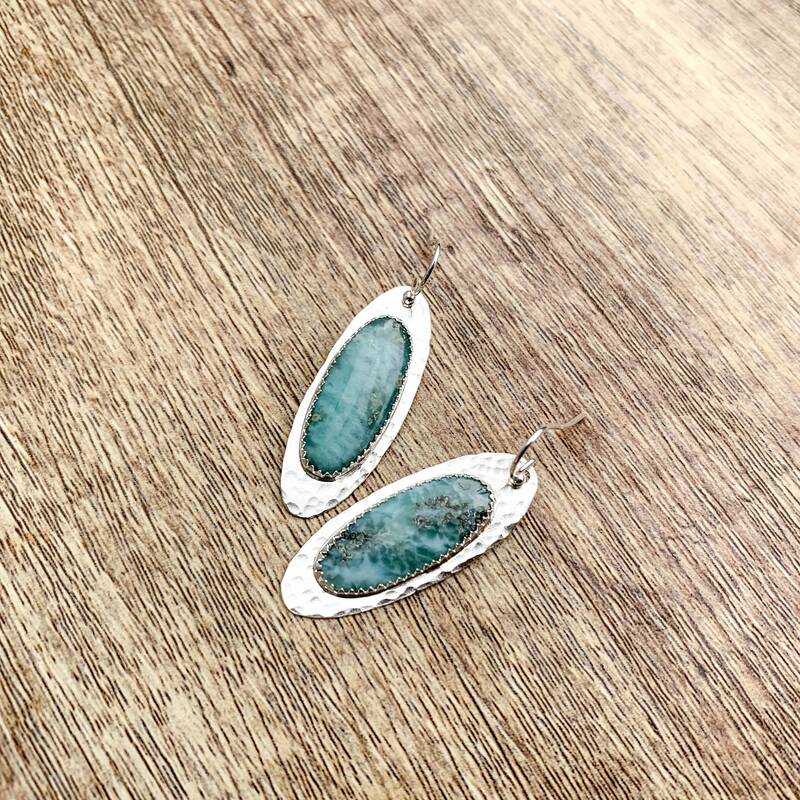 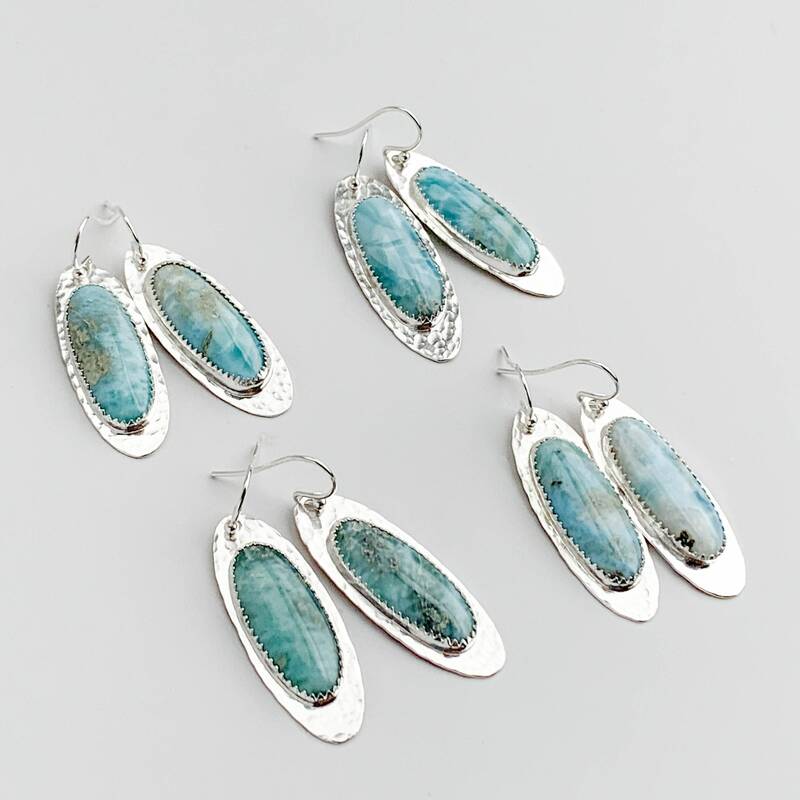 The stones are one inch long natural Larimar ovals. 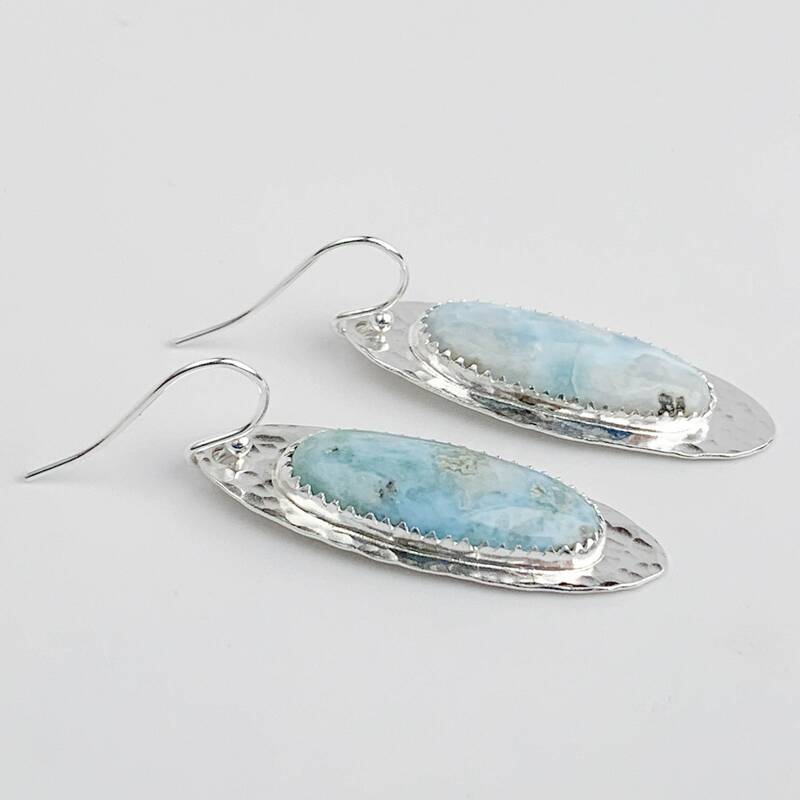 I love the baby blue color and the white and gray pattern in these stones! 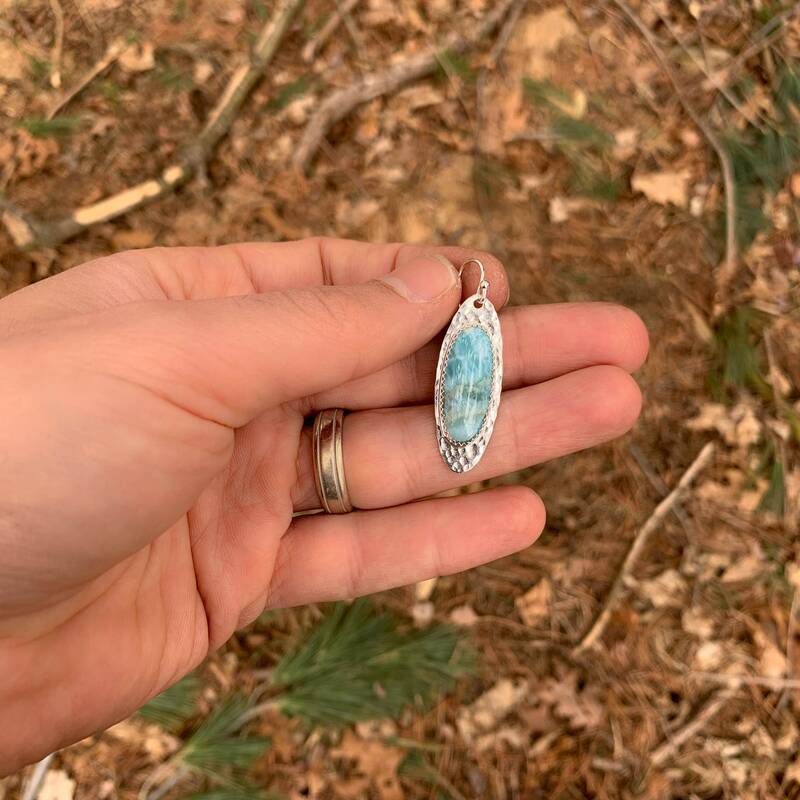 After I made the bezels that hold the stones and soldered them onto the backplates I sawed openings inside of the settings to create openings behind the stones to make these even lighter and more comfortable to wear. 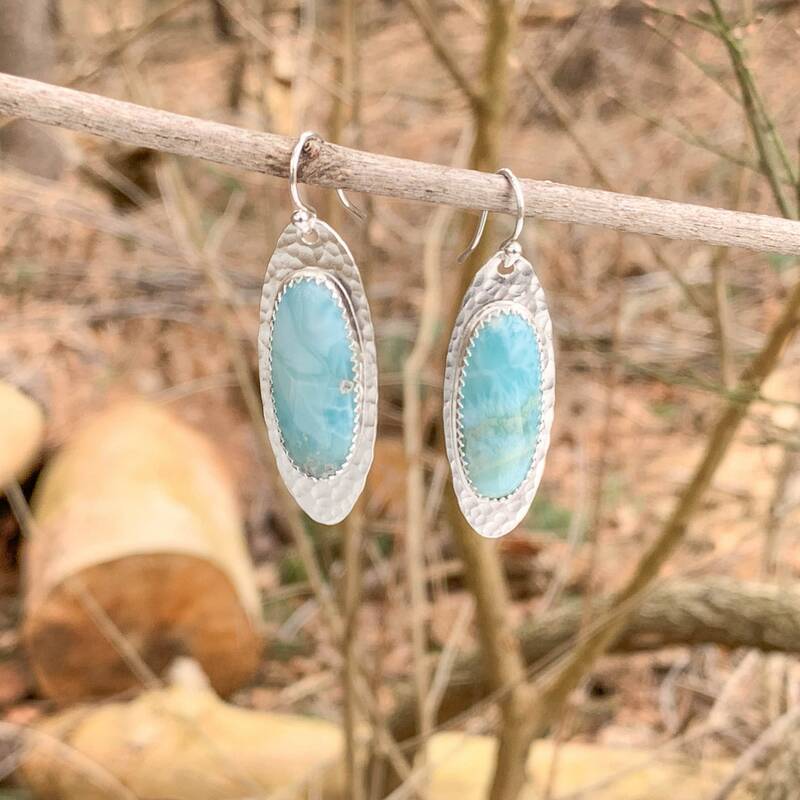 I made 4 pairs of these as shown in the photos, you will get one of the four pairs pictured.